8 Marie St. in Dorchester (center) is under renovation while the two neighboring buildings on either side remain boarded up. 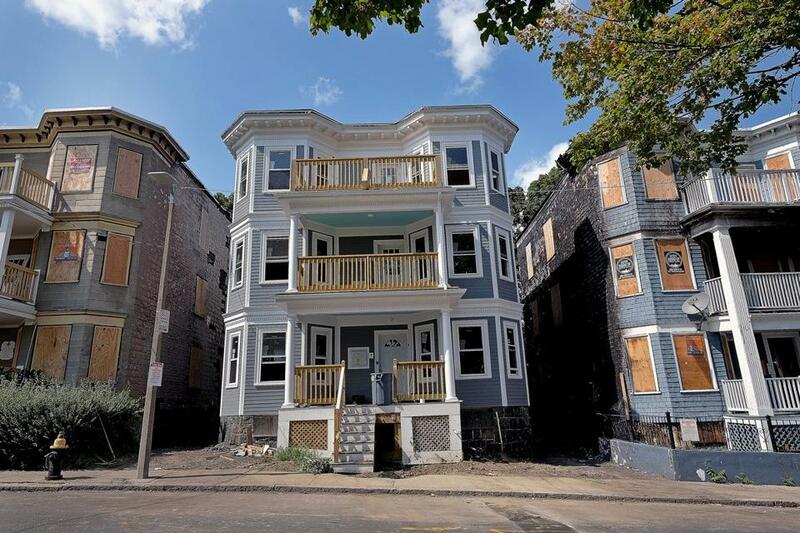 Frustrated neighbors had complained to city officials for nearly a decade about rats, trash, late-night drug use, and rotted debris at a vacant Dorchester triple-decker on Marie Street. Boston regulators issued violations to the absentee owner, who each time promised to repair her building but little or nothing would get done. One week later, the vacant building went up in flames in the middle of the night, igniting two homes on either side. Barefoot, dazed residents were forced to flee the wall of fire, and at least a dozen were left homeless, as flames caused more than $1 million in damage to five buildings, according to fire department records. 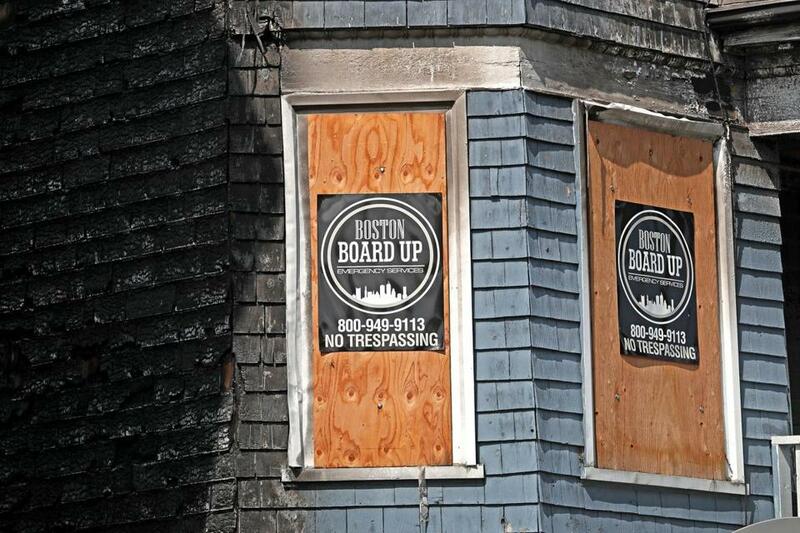 Despite an economic boom that has driven real estate values to record highs, Boston is home to hundreds of dilapidated or semi-abandoned properties that can pose a risk to neighbors. A Globe review of several lists of troubled properties maintained by city agencies identified at least 500 such buildings, many at risk of collapse or a potential fire trap. The city’s disjointed approach to monitoring troubled properties — at least three departments track these buildings using incompatible databases — has hampered efforts to address these issues and left neighbors feeling frustrated and ignored. 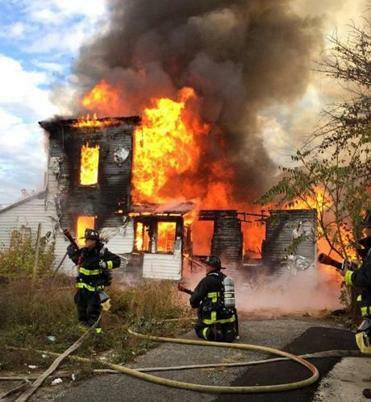 A fire allegedly set by squatters last November in a vacant Roxbury house, which left one woman dead, followed at least five years of neighborhood complaints. In May, a vacant property in Dorchester that had been a chronic source of neighbors’ frustrations was the scene of a homicide. Yet, the Roxbury property was on only one of the city’s lists of troubled properties and the Dorchester property was not on any. Neighbors’ complaints about 8 Marie St., and repeated pleas to regulators for help, were assigned by the mayor’s office to the city’s Inspectional Services Department, where Commissioner William Christopher defended his agency’s record with recalcitrant building owners. Christopher said it is often more effective and faster for his inspectors to try to work with the owners, giving them repeated chances to repair derelict buildings, rather than haul them into housing court, where cases can drag on for years. Right now, the department is juggling about 1,200 such court cases, he said. But keeping a property owner out of court does not guarantee a swift resolution. Boarded-up windows at 10 Marie St., which was damaged by a nearby fire. City records reveal a decade of cat-and-mouse between the longtime owner of 8 Marie St., Bonnie Glenn, and Inspectional Services. Often, it played out like this: After a neighbor filed a complaint, an inspector would issue a violation to Glenn, who would then request a building permit, ostensibly to make repairs to address the complaint. Christopher said the issuance of a building permit officially resolves a violation. But city records show that Glenn made few, if any, of the repairs she received permits for. Neighbors would again beg regulators to do something, and regulators would issue another violation for the same problems, and the cycle would continue. Twice, the city took Glenn to court, but dropped the case after she agreed to make fixes. Even then, the work was not done, records show. Glenn, who lists her address at a $2.6 million ocean-front Gloucester property, said in an e-mail that she had not abandoned her property, even though it had been vacant since a fire in 2005. In the months before the April fires, facing yet another pile of city violations, Glenn said she spent $100,000 installing windows, new siding, and repairing the roof and front porches. She said she had intended to complete the work. It’s hard to determine how many troubled properties there are in Boston, in part because the city’s department of Neighborhood Development, the Fire Department, and the Problem Properties Task Force create separate lists using different criteria and often use multiple spellings for the name of the same property, the Globe found. The Globe found that at least 500 properties were on at least one of the lists. The city has for years been working on a system that would standardize the way all properties are identified, by creating a unique number for each address, allowing agencies to more efficiently and accurately share information. But key departments have yet to have their systems upgraded, according to the mayor’s office. Nicole Caravella, a spokeswoman for Mayor Martin J. Walsh, said approximately $1.3 million has been dedicated in the current city budget to address the problem, but it “will take time,” she said. Firefighters at scene of fire at 94 George St. in 2016. Each year, the city’s Department of Neighborhood Development creates a list of what it describes as distressed properties: buildings that are vacant and boarded up, burned out, or falling apart. The latest list, from last fall, counted 371 such properties. 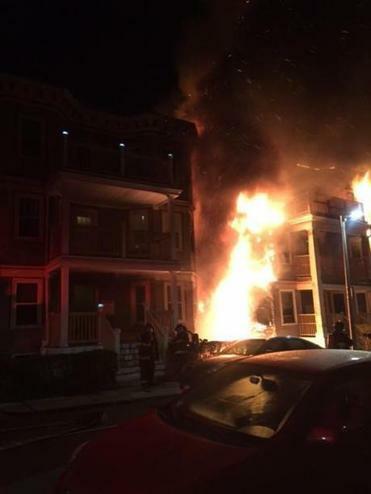 Nearly half were in Dorchester and Roxbury, and many had been the scene of fires. Owners of these distressed buildings frequently owe taxes to the city, with a total of nearly $2 million due, according to the department’s report. Glenn owed the city about $800 from 2013, which she finally paid in May. With roughly 250,000 units of housing in Boston, city officials said a few hundred distressed buildings — one building often contains multiple apartments — is a relatively small percentage, compared to other urban areas. Such claims are hard to substantiate because of differences in the way cities define the properties. But, “one is too many, and we don’t want any,” said Sheila Dillon, director of Neighborhood Development. Davida Andelman, chairwoman of the Greater Bowdoin Geneva Neighborhood Association, said the city needs new rules to aggressively go after derelict property owners, including putting buildings into receivership if an owner refuses to make repairs, or selling the properties and putting them into a community land trust. City officials are authorized to foreclose on properties for unpaid taxes, but Christopher, the Inspectional Services commissioner, said the snail’s pace of these legal proceedings — it often takes the city months to find the property owner — is frustrating. He said he is working with the city’s legal department on proposed state legislation to narrow the window of time that regulators must wait before a judge moves to foreclose on a property that has become a public nuisance. Additionally, the city can ask a judge to place a property into receivership by appointing a third party to oversee repairs, with the owner footing the bill. Christopher said this approach is “one of the best ways” to deal with some properties because owners are given the opportunity to keep their properties. His department has 59 such cases either in receivership or in the process. Still, the city can be slow to take such measures. Long-suffering neighbors of 94 George St. in Roxbury say they complained for years about squatters using drugs and occasionally setting fires at the long-vacant home. A fire finally destroyed it last November, leaving one woman dead and two men charged with murder after allegedly setting the blaze. Now the empty lot is closed off by a metal fence, with grass and weeds growing wildly. City records show regulators searched for the owner a few years ago, discovered he was in jail, and moved to take legal control of the property just weeks before the fatal fire. But that occurred only after years of repeated neighborhood complaints. Keith Greer lived next door until 2009, but he said he moved because “unsavory characters” had taken over the house next door. Even back then, he said, many of his neighbors were lodging complaints. In 2011, former mayor Thomas M. Menino created a task force to aggressively confront the worst of the worst of the city’s derelict buildings, dubbed problem properties. The task force, which includes commissioners from the police, inspectional services, public health, and fire departments, was directed to scour city records for properties that provoke at least four complaints a year about noise, unsanitary conditions, underage drinking, assaults, or an array of other problems. These properties were to receive heightened scrutiny, expedited enforcement to correct problems, and foreclosure for those with delinquent taxes. But the ordinance that created the task force also endowed it with wide discretion to decide whether a property warranted extra attention. Fire at the Marie Street fire. Neighbors repeatedly complained to city regulators about the vacant triple-decker. The photo was taken by a next-door-neighbor, Carrie Bergman, a resident of 6 Marie St., as she and her husband fled their building, which was heavily damaged by the fire. Data from Mayor Walsh’s office show the task force looked at 328 properties that had received multiple complaints between 2011 and August of this year. It found that 175 of the properties were not bad enough to be labeled problem properties, while many of the others were considered problematic and worthy of further attention. However, even among the less serious cases, the task force noted 39 in which some improvements were made to accommodate neighbors’ concerns. Today, city officials say just nine properties are troubled enough to be designated a problem property — the worst of the worst — though hundreds of others meet the city’s criteria of distressed or dangerous. To former residents of Marie Street in Dorchester, who are still shouldering mortgages on their burned out triple-deckers and paying rent for temporary housing, 8 Marie St. certainly seemed to fit the description of a problem property. City records show it met the threshold with more than four complaints filed about the property, each year, since at least 2014. But, because the owner appeared to be addressing the problems, it never made the list, Christopher said. Days after the April fire, Glenn sold 8 Marie St. to a developer for $250,000, court documents show. Today, the building is finally being renovated, while neighbors who long complained are still in temporary housing. “This is crazy,” said Jason Wright, a 37-year-old security guard who lived next door and rented his two bottom floors to low-income families with children. Wright and his teenage daughter fled the flames and shivered in the predawn, watching the fire spread. Kay Lazar can be reached at kay.lazar@globe.com. Follow her on Twitter @GlobeKayLazar.